The midfielder, who missed Saturday’s 5-1 away defeat at Liverpool with a knee injury, has been repeatedly dropped by manager Unai Emery for “tactical reasons” this season but remains confident that he can regain his coach’s trust. The midfielder’s inconsistent season, in terms of both form and appearances, had led to speculation that he could leave Arsenal during the January transfer window — despite signing a lucrative new contract less than a year ago. 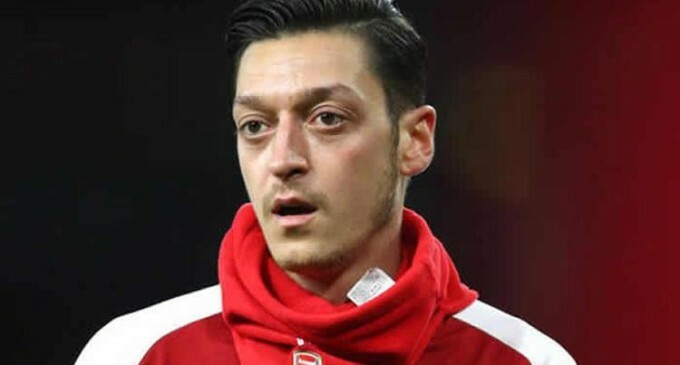 Emery has previously refused to say whether he was open to selling his star player, adding that Ozil’s £300,000-a-week salary is not a factor in the decision. After being named on the bench for Arsenal’s defeats to Southampton and London rivals Tottenham earlier this month, Ozil returned to captain the side at home to Burnley on Dec. 23, leading the Gunners to a 3-1 win. Ozil secured his second Premier League assist of the season in the victory, the first time he had either scored or assisted a league goal since Arsenal’s 3-1 victory over Leicester in October.